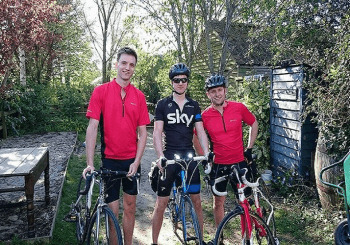 Daniel Sparks, Parts Advisor at Howards Citroen and Honda in Taunton, together with his two friends Tom and Nick, will be taking on a strenuous bike ride in June. Cycling from John o’ Groats in Scotland through to Northern Ireland and Ireland, they will then travel then across to Wales before finally making the long cycling journey down to Lands-End at the tip of the Cornish coast. The overall trip will cover a distance of 1,000 miles and a total elevation which extends over the height of Mount Everest. They aim to complete this challenge over the course of 17 days of cycling, with a couple of days rest in-between. Daniel and his friends are attempting this challenge to aid and raise as much money as they can for local charities St Margret’s Somerset Hospice and Children’s Hospice South West. Both charities have been helping the people of the local community for many years and rely on public support to be able to continue their good work.